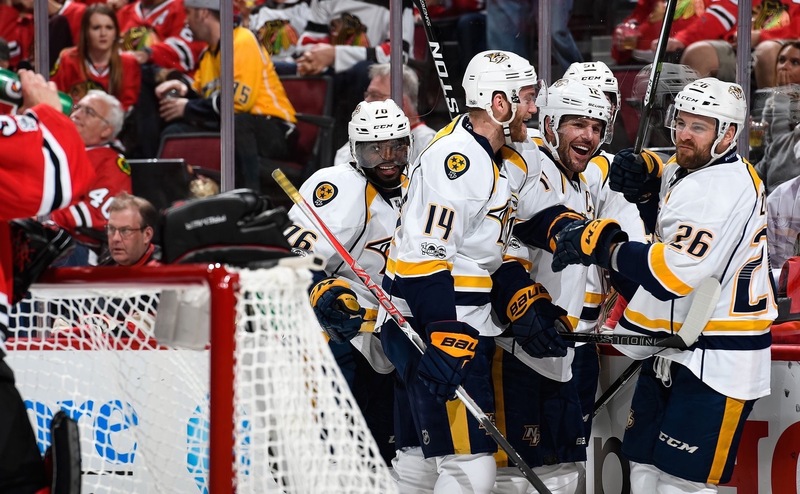 For the second consecutive night, the Nashville Predators went out and shocked the NHL world, defeating the Chicago Blackhawks with a final score of 5-0 on Saturday night at the United Center. The scoring started early and often in the first period with Predators’ Ryan Ellis tallying the first goal of the game at the 3:44 minute mark. Ellis connected from nearly 60 feet out after getting his first shot blocked by a member of Chicago. The assist would be credited to Ryan Johansen and Roman Josi. The second period showed that the Predators were determined to keep their lead by scoring two more goals. The first was netted by Harry Zolniercyck and assisted by Mattias Ekholm and Pekka Rinne. The second of the period was tapped in by Colton Sissons with the assist by Pontus Aberg and Craig Smith. After a acrobatical spin move to get to the goal, Smith gave it to Aberg who’s shot was stuffed at the goal. Luckily for the Preds, Sissons was was right there to punch it in and give his team a commanding three-goal lead. The third period sealed the Blackhawks’ fate as the Predators continued their scoring affair to the likes of two more goals. 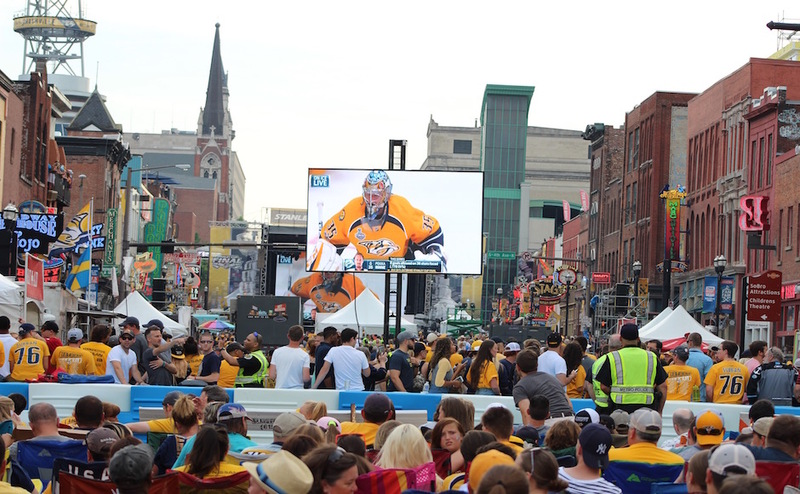 Ryan Johansen scored the first and was assisted by Filip Forsberg and Pekka Rinne, while Kevin Fiala scored the second and was assisted by Ryan Johansen and P.K. Subban. Although the Blackhawks’ outshot the Predators by a narrow margin of 30-29, the Predators’ speed and physicality prevailed. Likely the biggest stat line of the night was that the group of Ellis, Zolniercyck, Sissons and Fiala all recorded their first career postseason goals. The man in the goal, Pekka Rinne, gathered his 2nd consecutive shutout, his 3rd in his 12-year postseason career. He also tallied two assists Saturday, a postseason career-high. So far through two games, Rinne has also recorded 59 saves and held the No. 1 team in the Western Conference to zero goals. 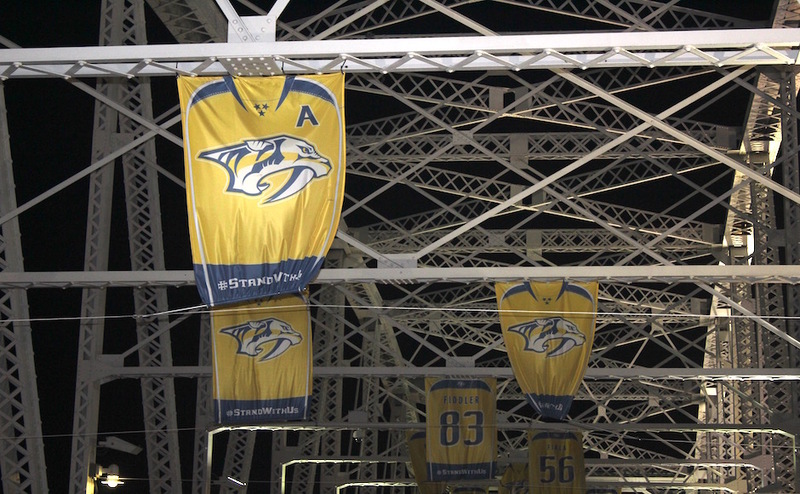 The Predators will have a home ice advantage as they return to Nashville for Game 3 of Round One. 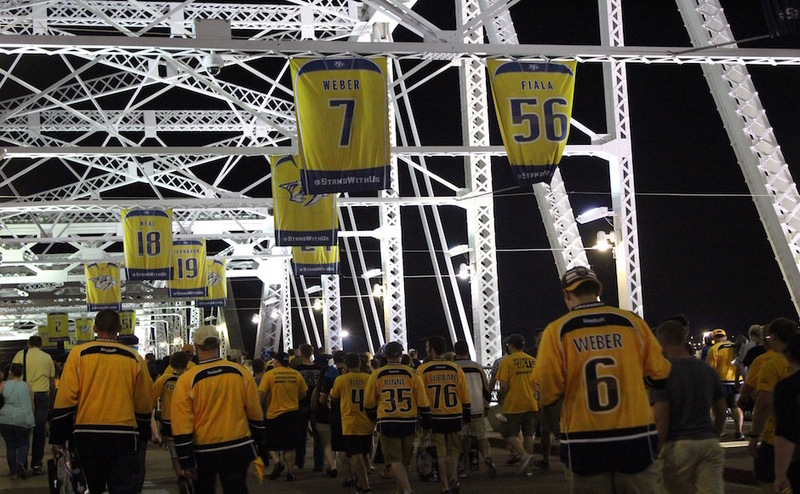 Game 3 will be held at Bridgestone Arena on Monday, April 17 at 8:30 p.m. Central time.